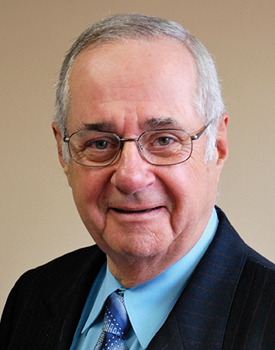 Ted has over 35 years of negotiation, mediation, and arbitration experience, and has represented numerous clients before arbitrators, administrative tribunals, and all levels of the courts in a variety of matters. He has particular expertise in all aspects of labour and employment law, and has participated in approximately 2,000 cases involving wrongful dismissals, collective bargaining negotiations, human rights proceedings, employment law, labour relations, and workplace restoration issues. He has conducted numerous mediations, arbitrations, and investigations involving complaints by both customers and employees for major financial institutions and other private and public companies, and has been successful at resolving a significant number of these disputes. Ted is a member of the discipline hearings panel of IIROC, with responsibility for adjudicating complaints filed against members of the investment industry. He has been appointed as a Vice Chair of the Ontario Labour Relations Board for the past eight years. He has also been appointed as Integrity Commissioner for a number of municipalities in Ontario. Ted received his B.A. from the University of Toronto in 1964 and his LL.B. from Osgoode Hall in 1967. He was called to the Bar in 1969 and was then appointed to and served as law clerk to the Chief Justice of the High Court for the Supreme Court of Ontario. Ted was a past Chair of the Labour Section of the Canadian Bar Association, Ontario and National Branches. He has also served, on a volunteer basis, as the Chair of the Board of Directors of Holy Trinity School, a member of the Executive Board of the Conference of Independent Schools, President of York Downs Golf & Country Club, and Chair of the Markham Public Library Board. Ted can be reached through the Toronto office of ADR Chambers.